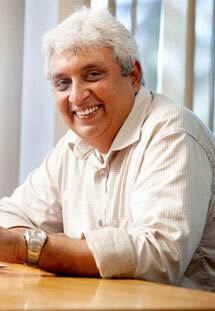 Arvind joined Qube Cinema in 2005 to head strategy and Business Implementation across divisions. Arvind brings deep insight of the cinema industry, across the business value chain. A Chemical Engineer and a Post Graduate in Management, Arvind moved to the Investment Banking domain after sending his early years in manufacturing and marketing with the industrial sector. Arvind has been involved in most facets of the financial markets, from equity research to Investment Banking & Corporate Finance, which included an association with KPMG Corporate Finance in India and the Middle East. His experience includes significant business advisory roles apart from transactional roles. The ability to quickly grasp the key business drivers across industry sectors and driving the management imperatives and actions required to deliver on strategic goals are his forte.